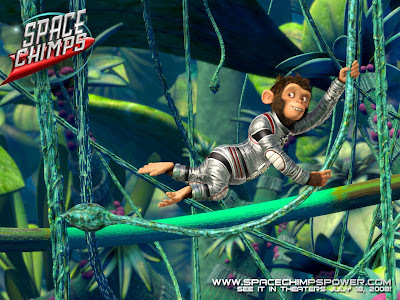 Plus Size Kitten: Space Chimps - Toy Story Chimps? 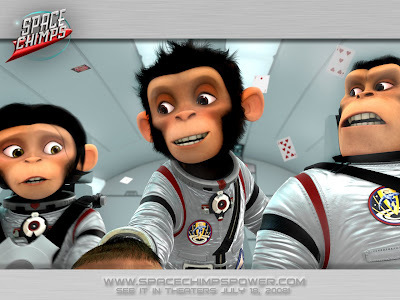 space chimps is a rent! 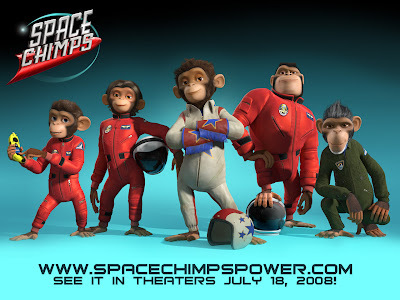 I watched Space Chimps yesterday (opening day) at GSC 1u after Christmas shopping. Boy the animation movies are becoming more and more so-so now. 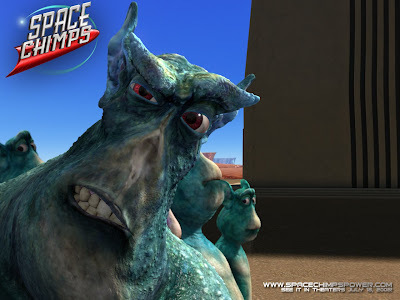 Space Chimps is like a chimpy-fied version of Toy Story but with ugly 3D looking Aliens which made 1/2 the movie look like a dvd rental. 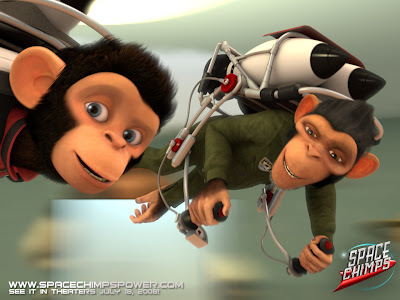 Ham III is the grandson of the famous Ham the chimp astronaut. He works in a circus, talks like he knows it all and is extremely annoying. Luna the heroin of this movie is basically a chimp and the directors in the movie seem to make her more human like, than chimp like (model poses included). Titan the macho chimp, is a replica of Buzz Lightyear (Toy Story). Zartog the fugly alien is the bad guy in this movie. Definitely targeting kids as the audience. Watch if u like monkeys or have kids to bring to.